This features helps you categorize and divide your contacts your contacts into appropriate contact groups in accordance to your preference. Click on Add (+) to add new contact categories as shown above. Fill in the Category Type you wish to add to your contact categories. 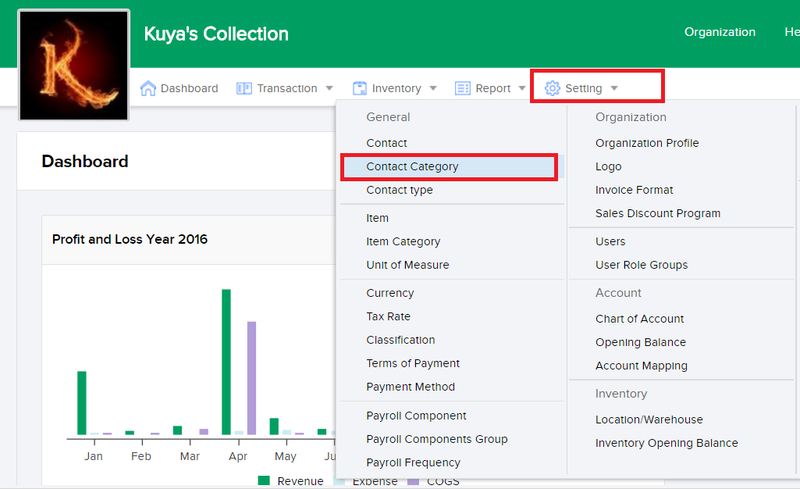 Fill in the details of the type of category in the Category column. Click on Cancel if you wish to undo the changes you have made.